Environmental conditions can impact different product chemistries in different ways. When temperature is one of those environmental conditions, some problems can become more common with seasonal conditions. If hot weather use can pose a challenge to a particular chemistry, the risks associated with its use (and care to avoid those risks) are limited to summer (hot weather months). On the other hand, spring, fall and winter are a challenge if a product is negatively impacted by cold weather conditions. 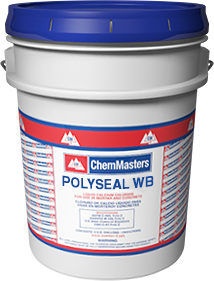 Water-based cures and sealers are one of those chemistries sensitive to low temperature conditions. Interestingly, most problems with water-based products don’t occur during winter months. People are well aware that water freezes at low temperatures and aren’t as likely to use water-based chemistries during the winter. The majority of temperature related problems with water-based products actually occurs during spring and fall. Temperature variations are most pronounced each spring and fall; from day to day, day to night, and even between ambient air and concrete substrate. After the slow winter months, everyone’s anxious to get a quick start on spring work. But those early warm days still have cold nights, and it takes quite a while for previously placed concrete to warm up enough to apply a water-based product. It’s easy to assume a sunny, warm day means conditions are suitable for water-based coatings. But although the midday temperature may be warm enough, it’s quite likely the overnight air temperature and substrate temperature are not. Remember, water-based cures and sealers require both a minimum 50°F (10°C) substrate temperature and ambient air temperature until the coating has fully cured. The coating will even cure more slowly than anticipated at lower air and substrate temperatures, subjecting uncured coatings applied during the heat of the day to unacceptably low overnight temperatures. In these cases, the coating may not fully “coalesce” (it may not fully cure to form a continuous film). Lack of coalescence can take a variety of forms. Minimally affected coatings can be slightly milky in appearance, and may be salvaged by introducing an additional energy source in the form of a light solvent wash with xylene, exposure to additional sunlight or even an indirect heat source. Terminally damaged coatings may not coalesce at all, resulting in a powdery residue reminiscent of powder sugar. And some may end up terminally damaged in localized areas. In these cases, it’s necessary to completely remove the coating and reapply. Freshly placed concrete generates its own heat of hydration, so at first glance it seems reasonable to believe this isn’t an concern on new concrete. But heat loss is fastest where it’s most needed; at the surface where the water-based cure resides. If the pour takes place in an enclosed area, the resulting high humidity delays coalescence and film formation, putting it at further risk during periods of low temperatures. Make sure both the ambient and substrate temperature will remain above 50°F (10°C) long enough for the cure/sealer to fully coalesce. Establish a wind break to minimize heat loss. Provide indirect heat to maintain minimum temperature requirement. If the coating cannot be fully coalesced, chemical, mechanical removal or high pressure water is required. If the coating did not coalesce, and the substrate surface is covered with “powdered sugar”, removal is required. If this condition exists, removal can often be accomplished by less aggressive means such as sweeping and/or washing.